Fifth mission of Club Penguin game is called “Secret of the Fur." You might remember about the white fur that was appeared on the ground in the previous mission. In this mission you are going to track down the source of this white fur. Let's see how to do this. 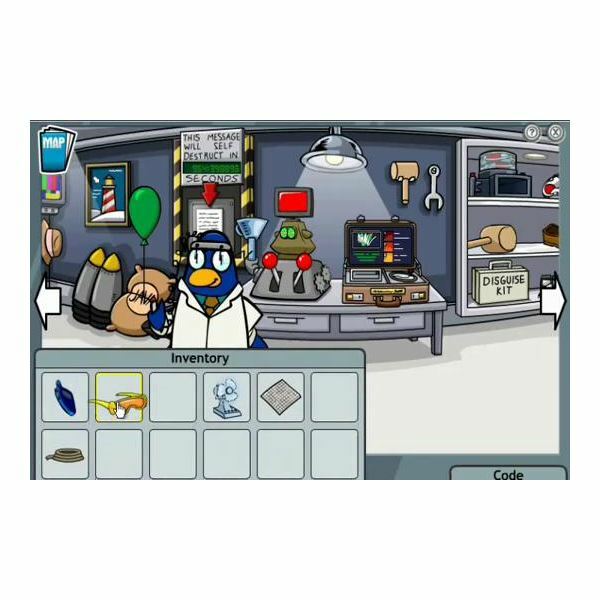 Follow these good Club Penguin cheats for mission 5 and finish the mission soon. Talk to G and tell him that you came to figure out the secret of white fur. Then he will ask a help and tell you to repair the broken machine. Repair it using your comb on the spy phone. Put the white fur into the Forensic Analyzer machine when G gave it to you. Then the machine will tell that the fur has jet pack fuel, hot sauce, and hot chocolate. G will tell you to find out about these things. You have to find from where these comes from. Go to plaza by clicking on the map. 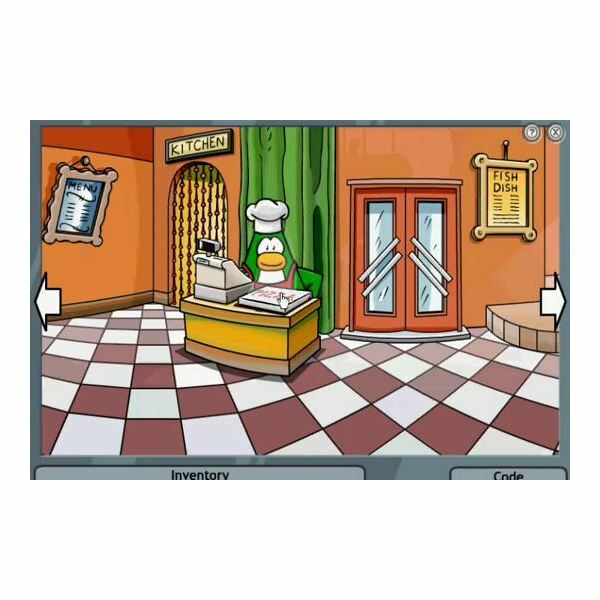 Then go to the pizza parlor and talk to the penguin cleaning the floor. There are sauces and chocolates there. Get them. Deliver the pizza to the penguin that is near the ski lodge. Next go to ski village using the map and click on the door with the sign of Gone Fishing. There's a penguin who is fishing nearby. Give the pizza to him. Next step is fixing the chocolate machine. 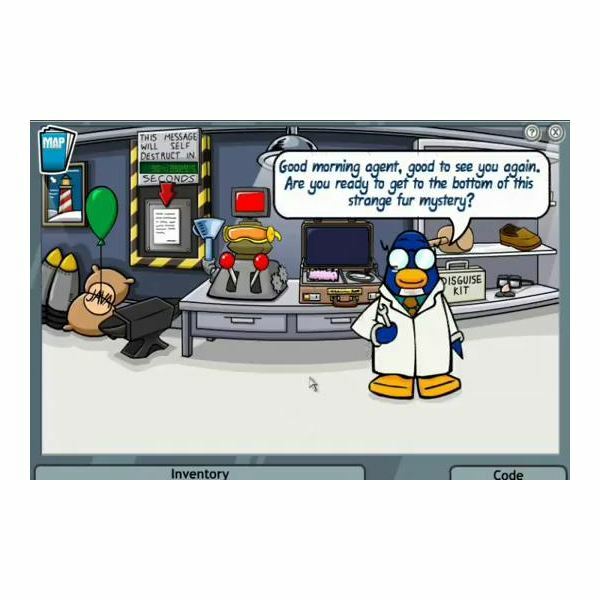 It won’t be a difficult task if use these guide about good Club Penguin cheats. Go to the coffee shop. 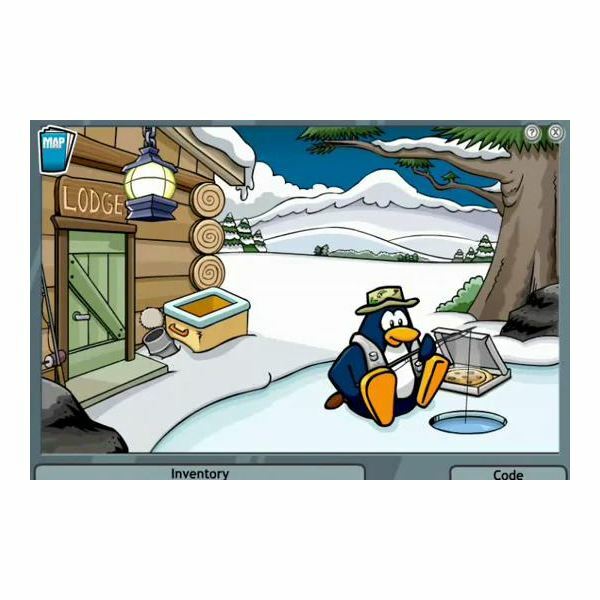 When you talk to the penguin in this place, he will show a picture and click on it. 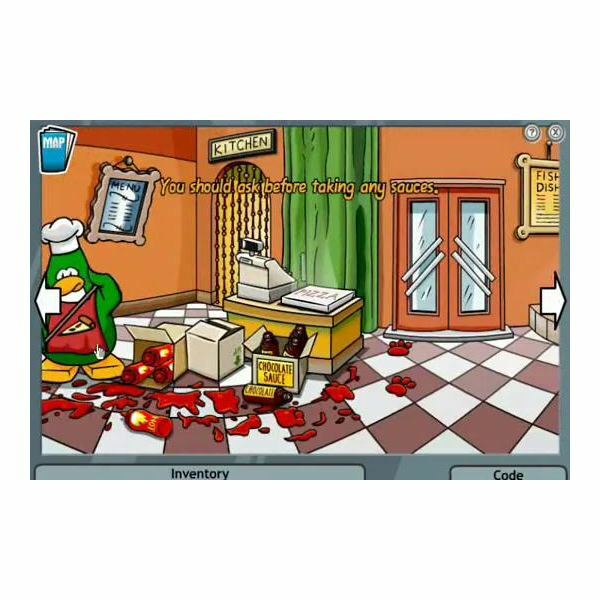 When you talk to penguin behind the counter, he will tell you to repair the chocolate machine. First put the cup under the exit of the machine. Add chocolates from pizza parlor and twist the milk tube using the wrench. 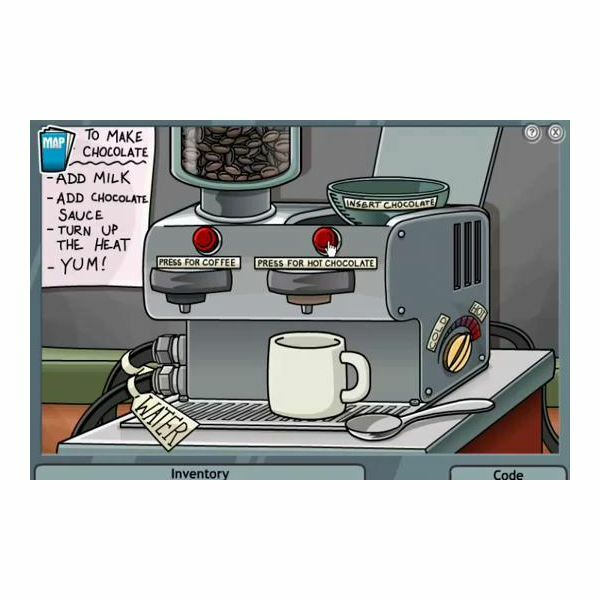 You also have to set the chocolate machine for hot and then press red button to start the machine. Add a cup of hot chocolate into your inventory. Go to HQ and take the tool on the shelf in the gadget room. This is called AC1000 and it seems like a fan. Use the AC1000 on the jet pack fuel floating in the air at the beacon. Cut the balloon using the scissor and it'll fall down. Take the rope down the lighthouse and the net near the stairs. Go to HG and mix chocolate, jet pack fuel, and sauce to get a pair of yellow tracking goggles. Take this new goggle. Go to ski village and into the next room with goggles are put on. There's a candle and take it. Walk towards the fishing area and connect the rope and the net together. Tie it to the tree nearby. When you put the candle on the net a crab will be trapped to this. Take this entrapped crab and also get the fur on the ground. 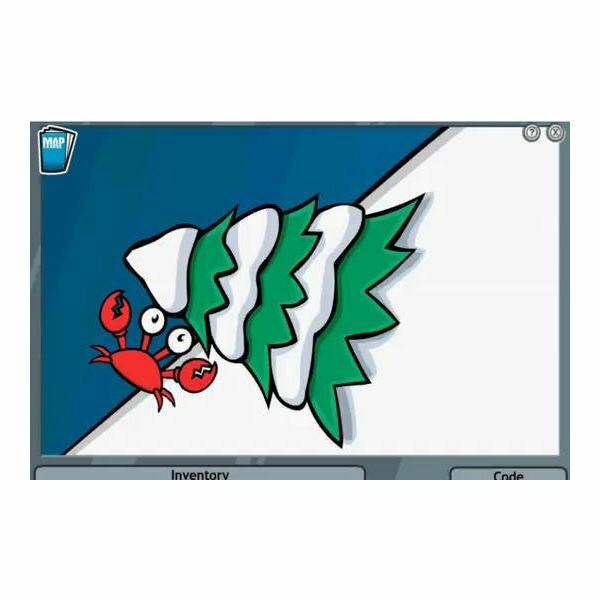 Give this crab to G and analyze the fur using the Forensic Analyzer machine. Finally the secret of the white fur is revealed. The machine will tell you that it's a polar bear. Now take your medal and pizza box to complete the fifth mission of Club Penguin. 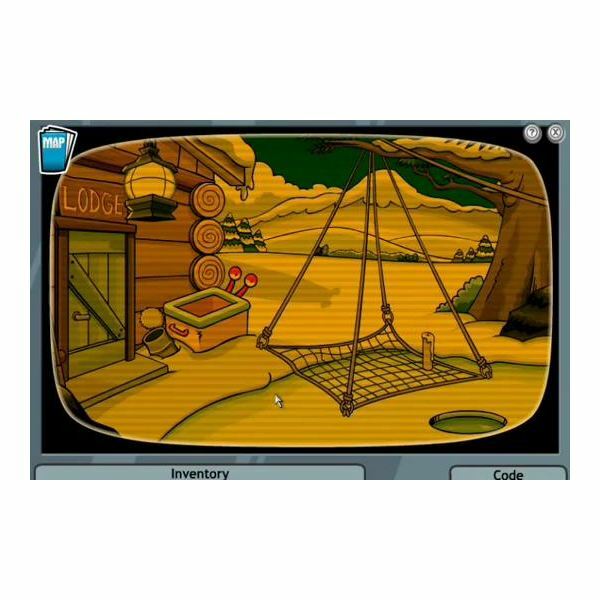 If you properly use these good Club Penguin cheats for mission 5, it won't take much time to finish this level of the game. It's time to conquer the sixth mission of Disney Club Penguin game. It's called "Questions for a Crab". In this mission you are looking for an escaped crab and trying to find the hideout of a mysterious polar bear. If you remember the crab that you caught in the previous mission, this is where the sixth mission starts. Read this CP cheats for mission 6 and start playing. First as usual talk to G and you have to follow the crab from place to place. You'll end up near a hidden cave and you can't get into it. Now you need to unlock the door. There's a black Puffle when you go towards the tree stump and he needs food. Now go towards the big log, cut the rope using scissor, and take the bag of Puffle O's. Now go back and give a Puffle O to the black Puffle. Come near the hidden cave and throw another Puffle O into the pet door. Then black Puffle will open the door and suddenly you are trapped in a cage. The polar bear appears and listen to him. Once he leaved go near to the Cage Lift. Now you have some deals with the polar bear. He is making real troubles and he has to be stopped. Read and continue to follow the CP Cheats for the sixth mission. 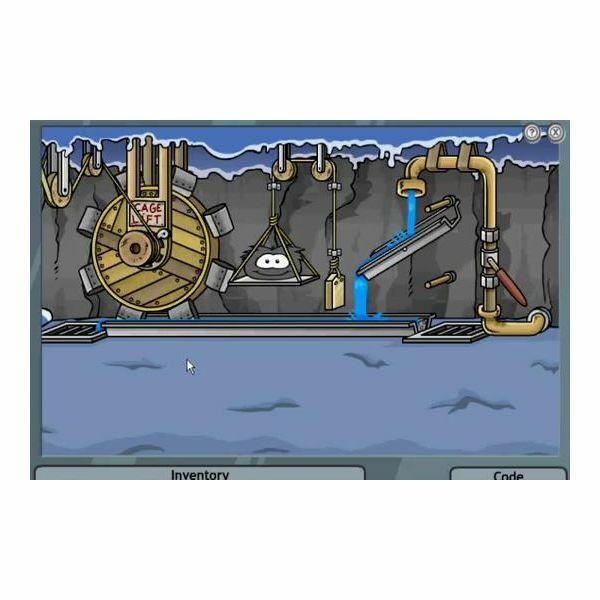 Take a Puffle O and throw it at the lever one a pipe and water starts to flow. 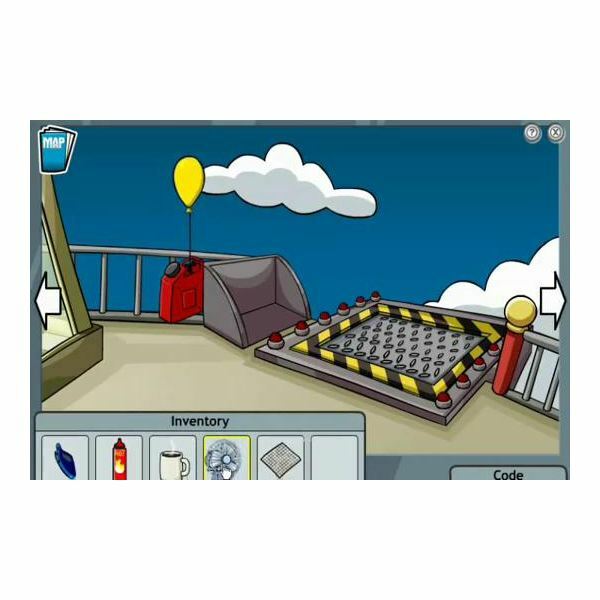 Put another Puffle O at the top of the ramp. Also throw a Puffle O on the scales. Then the gate will open. There's an anchor and rope when you go to the left and take them. Once you keep them together you'll get a grappling hook. Walk towards left and there's a desk. Keep G's Electro Magnet 3000 in your inventory and add hot sauce on it. Go to the door and open it. Give an O Berry to black Puffle after putting hot sauce on it. He will make a path for you. Get back to the ski hill using the grappling hook. Go to the ski lodge through the Ice Fishing door. The polar bear in this place hints that he needs a pizza. 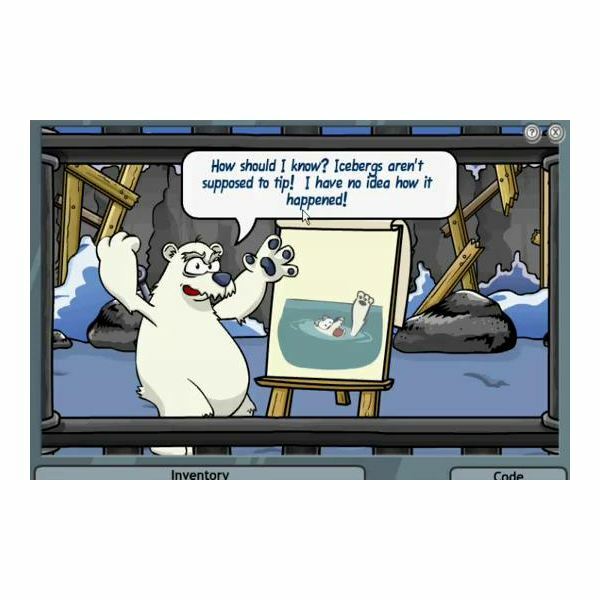 Go to the pizza parlor and buy a seaweed pizza and bring it for the polar bear. When the polar bear is occupied with that, click the lever below the crab. Then it will turn to the other side. He will be thrown away by the machine. Talk to G and then you'll get a call from the polar bear. Again talk to G and hand over the blueprints to him. Once you took the medal and the Electro Magnet 1000 blueprints, the sixth mission will be completed. Hope this CP cheats for mission 6 was helpful you to complete the "Questions for a Crab" mission. Now let’s see what you have to do in the seventh mission. Club Penguin is an exciting game that can play for hours. If you have some Club Penguin cheats, it’s more enjoyable and easier to play. 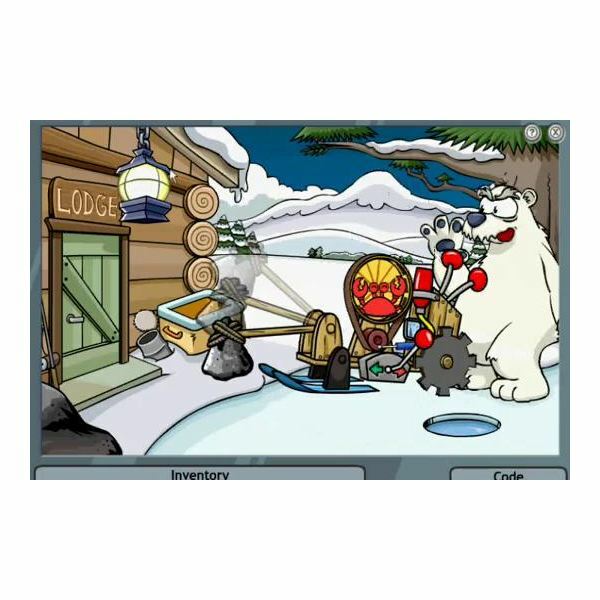 Read and use this Club Penguin mission cheats and conquer the game.